There are many plywood types currently available. Exterior and marine grade plywood varieties are the standard option for people looking for plywood to use for outdoor constructions. Most people assume that they can use marine grade and exterior plywood interchangeably. This theory is based on the reality that both of these plywood options have a range of properties that enhance their durability and resistance to various weather elements. They are however extremely disappointed once they realise that the plywood they chose does not meet their needs. This is primarily because exterior and marine-grade, durable plywood are not substitutes. Many elements distinguish these two types of plywood. The following are tidbits to boost your understanding of these elements and help you make an informed choice. There is a varying number of plies between exterior and marine-grade plywood. Exterior plywood is about ¾’’ thick and contains five plies of plywood with a fibreglass layer on its surface. 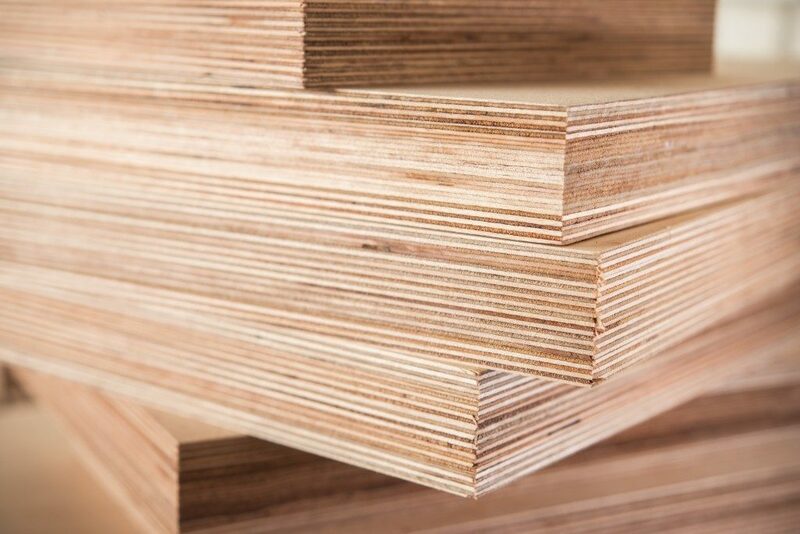 Marine grade plywood has a similar thickness but comprises 9-11 plies of wood. It might also have a veneer surface layer if the plywood is used for an exposed or visible construction in which its aesthetic appeal is vital. Both marine grade and exterior plywood have waterproof glue. This type of adhesive is meant to boost the plywood’s water, mould, outdoor temperature, and mildew resistance. In this regard, there is not much of a difference between marine grade and exterior plywood. The main type of glue used for both kinds of plywood is the exterior and boil proof one. There might exist a slight disparity in the quantity applied depending on the level of protection and strength needed. There may not be much of a difference in appearance between marine and exterior plywood at first glance. If however, you know what to look for you will notice that marine grade plywood has a higher aesthetic appeal compared to exterior plywood. This is primarily because it uses hardwoods including maple, ash, and mahogany that can withstand a range of hits during its shipment and manufacture. Exterior plywood, on the other hand, is made of softwoods that are at a higher risk of denting and other forms of damage before it gets to you. This is closely related to the type of wood used for both marine and exterior plywood. Exterior grade plywood has clearly visible voids and checks from the growth of the tree from which the plywood is made. Marine grade plywood is generally flawless. The other element that affects the quality of both types of plywood is the wood’s facing. Exterior plywood is usually available as C/D. This means one surface of the plywood is grade C, and the other grade D. Marine grade plywood is available in A/B or A/A classes indicating both faces are virtually defect-free. With these tidbits, you are now in a better position to make the right plywood choice for your exterior constructions. More often than not, exterior plywood is about three times cheaper than marine grade plywood. Before making your selection, discuss your desired objectives and features with the supplier to ensure you make a right pick.